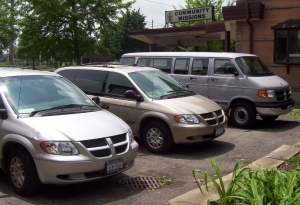 Transportation Services | Community Missions, Inc. This program is for the transportation of Seriously and Persistent Mentally Ill Adults, at least 18 years of age within Niagara County for day programs, medical and rehabilitation appointments and services. This program operates in Niagara Falls and Lockport/North Tonawanda areas. In addition to individual appointments, daily routes are established for transporting to and from CMI community support program sites. Transportation arrangements can be made by contacting 282-5403 at least 3 days prior to appointment. Transports are scheduled on a first-come, first-serve basis. This program is funded through the Niagara County Department of Mental Health, Alcohol and Substance Abuse Program, and New York State Office of Mental Health.